Malbec World Day officially April 17th came early to our house this year. May have had something to do with the celebratory mood here after being hired by Whole Foods Market as a Specialty Buyer. Celebrating? My first reaction would be to pull out my favorite Malbec; Lamadrid. No not the Reserve for regular special occasions. The big guns! The 2006 GRAN Reserva. In 2012 I wrote about the Lamadrid Reserva 2008 Malbec which you can also find below. 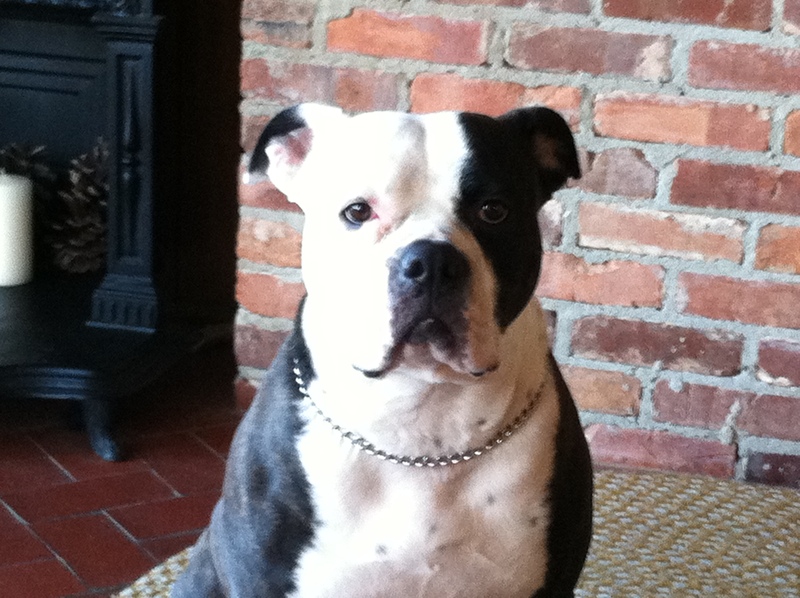 I was unemployed and it was just me and Miss Jane Doe our American Bulldog celebrating Malbec while in North Carolina. This year I am newly employed in a field I more than enjoy and am surrounded by friends and loved ones. Jane is here too 🙂 What a difference a year can make. Lush and exotic, with melted fig, anise, blueberry compote and plum sauce aromas and flavors pumping over graphite and licorice notes. Long and juicy on the rich, fruit-filled finish. Not shy at all, but pulls it off. This wine is concentrated, highly structured, with a deep ruby ​​red color. The nose is spicy with findings of cloves and cinnamon, and the presence of mature fruit. The palate is velvety and intense with tannins perceived to be balanced with the acidity. The 2006 Lamadrid Gran Reserva Malbec is 100% Malbec from a single vineyard: Agrelo. Was aged for 16 months in french oak and bottled September 2007. I’ve seen different counts listed on-line but as per the winemaker info; production came in at 8,328 bottles or 694 cases. Make that 693 or 692 because me and a friend easily bought 1-2 cases over the last year or two. The going price then prior to discounts was about $35.00 per but I have seen it now as high as $73.00. I am cherishing my last 2 bottles. I noted a dark purple color turned bright red garnet at its edges and lingering legs on the glass. Both signs of alcohol level but luckily not evident on nose or palate. I would describe this wine as dark fruit forward well-balanced with wood. Detected on the nose; casis, oak, blackberry, prune and plum. On the palate the addition of leather, licorice and spiciness. It paired beautifully with a fresh garlic and mushroom pizza. As I might have mentioned before 🙂 Lamadrid is one of my favorite wineries and their product is one I hope to carry at the new North Miami Whole Foods Market. Their story truly made me bond with not only their wines but wine in general. I can honestly say that the inspiration I received helped lead me to where I am today. HAPPY MALBEC WORLD DAY 2013!! Additional information is listed below. 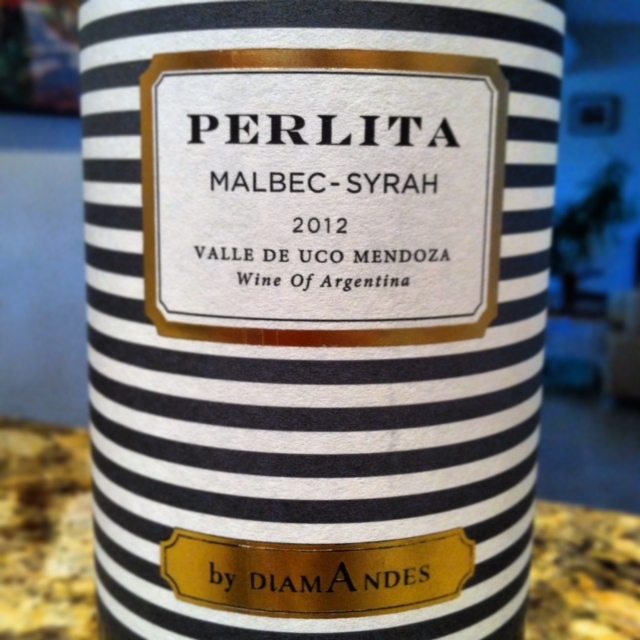 In honour of Malbec World Day I am partially reposting part of an earlier blog post [see below]. This is one of my favorite Malbec’s and “the one” that made me a fan. I thought what a better way to celebrate April 17th! Unfortunately I am celebrating alone unless you count Miss Jane Doe our American Bulldog who is keeping me company on this special wine day. Luckily she was able to convince me that it was worth opening for a party of one. Good girl Jane. The color; a deep beautiful purple burgundy with lingering legs. On the nose I detected sweet dark fruit [plum, cherry], oak, vanilla, leather. On the palate I tasted; cloves, tobacco, black pepper, the same fruits noted above along with vanilla, casis and a herbaceousness/earthiness factor as it opened. The tannins solid and a nice long finish. This wine [different vintages] is available in stores and on-line although admittedly harder to come by as it is discovered and particular vintages disappear forever. If you should come across it I recommend you partake. At $16-$19.00 it is a steal. This wine could easily be priced at twice as much but lets keep that to ourselves. SALUD! I consider this vineyard to be one of my best discoveries of 2011. Their 2008 production is highly regarded, often hard to find at this point. The good news is that the 2009’s now appearing on store shelves have been rated just as high. Guillermo García Lamadrid and Hector Durigutti, master winemaker and general manager are truly masters at what they do. Durigutti considered to be today’s wine maker with the midas touch in Argentina. He also has own name-sake line of Durigutti wines, although hard to find in the states I recently found some in Aventura FL and in Tryon NC of all places. Guillermo García Lamadrid originally caught my attention in wine class because he originated from Cuba [my people!] and became a successful winemaker when he migrated to Argentina via Puerto Rico. I am sure there is a very interesting story there. I have been lucky enough to have tasted quite of few of their wines; Malbec, Cabernet Sauvignon [$14.00], RESERVE Malbec, Cabernet Sauvignon, Bonarda, Cab. Franc [$18.00] and the GRAN RESERVE Malbec [$35.00].